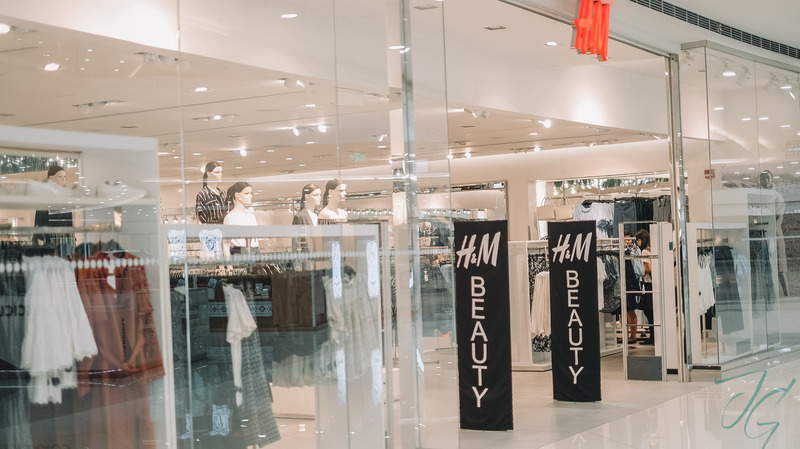 H&M is one of my go-to stores to shop for clothes not just for me but also for my husband and kids. Aside from apparel, I also shop their home collection because they have the chicest pieces that doesn’t put a hole in my pocket. Good thing we only have a small space, otherwise I’d be changing our linens, tableware, and decor as often as I feel like! Hahaha. 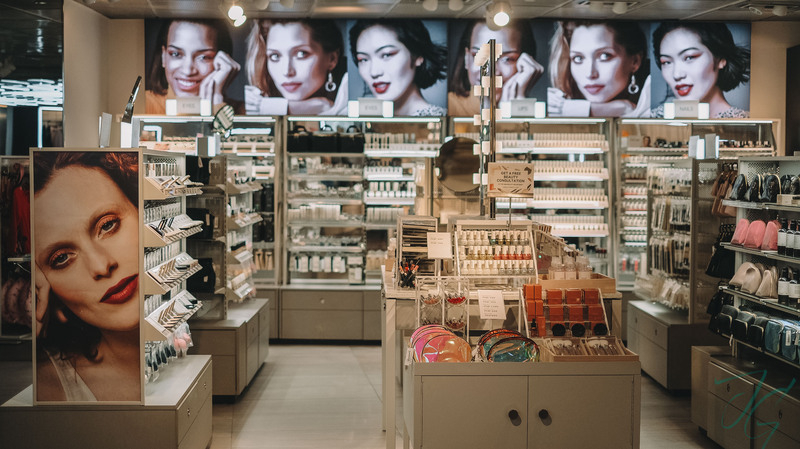 But did you know that aside from apparel & home, they also carry beauty products? Yes! 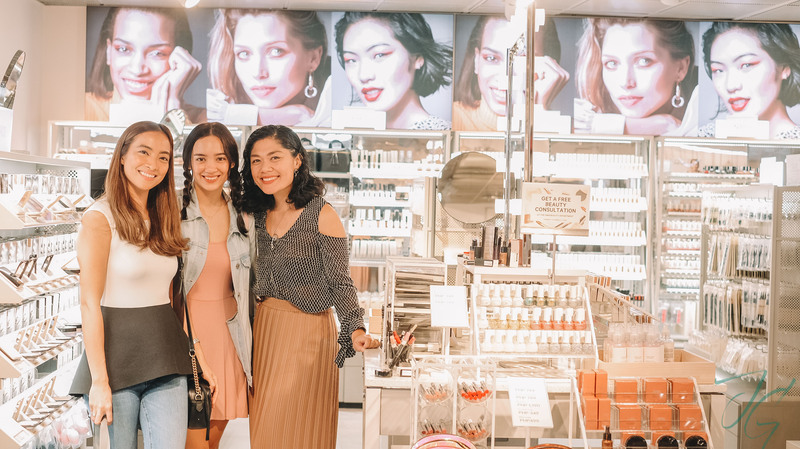 H&M Beauty is available at select H&M stores here in the Philippines. One of the stores that carry it is H&M Megamall, so off I went to check it out. H&M Beauty has a complete line here in Manila. 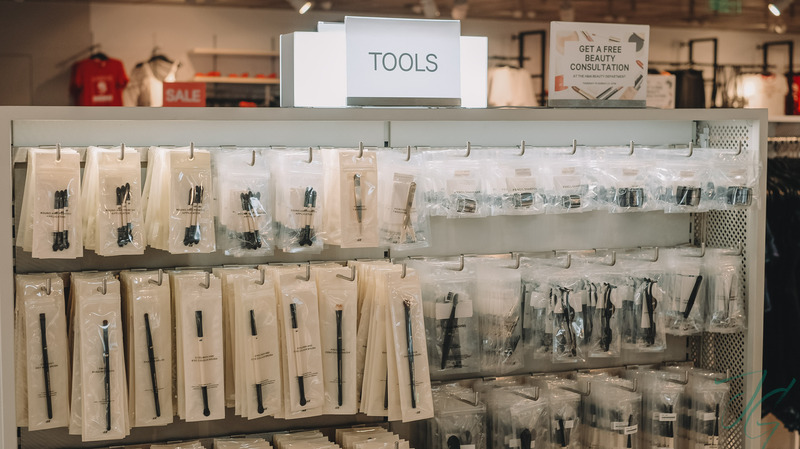 Face, eyes, lips, nails, tools and other personal care items. 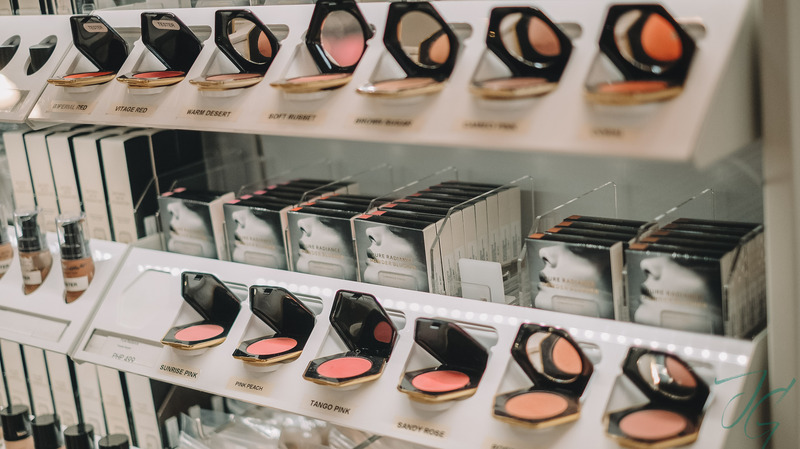 Doesn’t the hexagon casing of the cheek blush so chic? 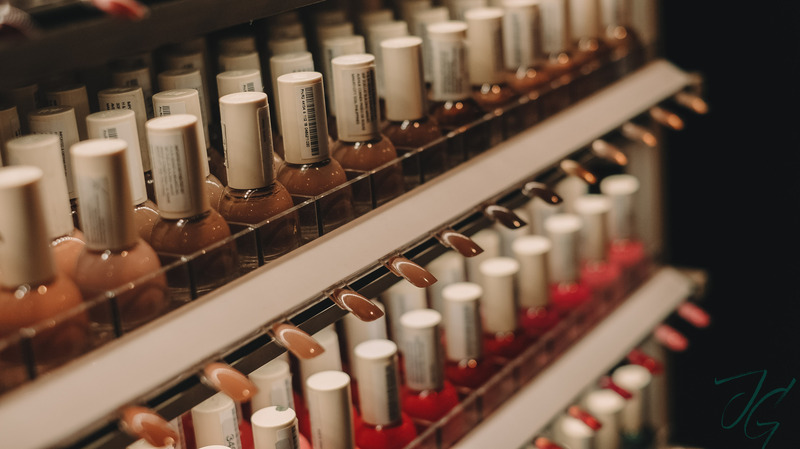 They also have a very wide selection of nail polish color! 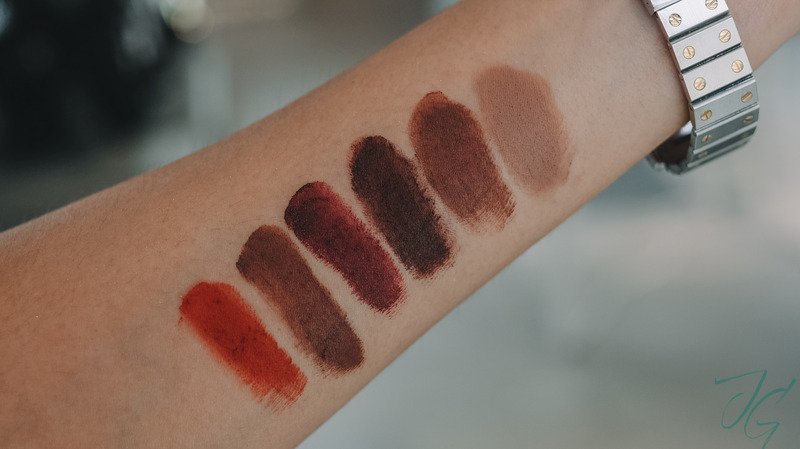 From muted to brights, look at those shades! 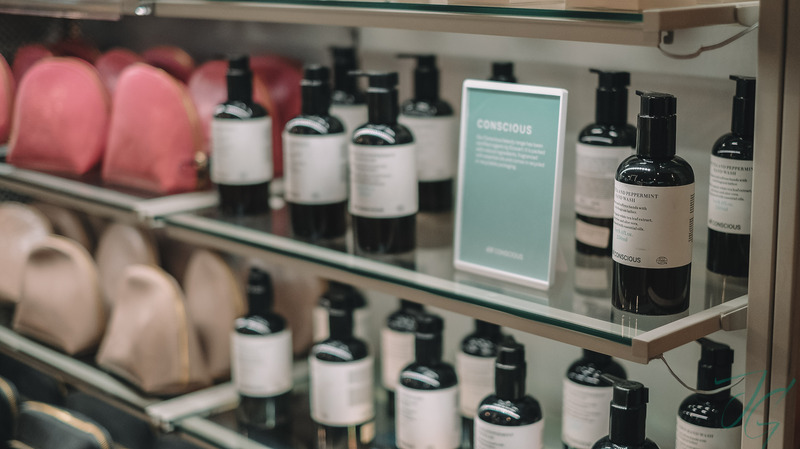 H&M Beauty also has a Conscious line for their hand wash & body wash.
Tools like make up brushes, hair accessories, makeup containers & pouches, as well as nail paraphernalia. 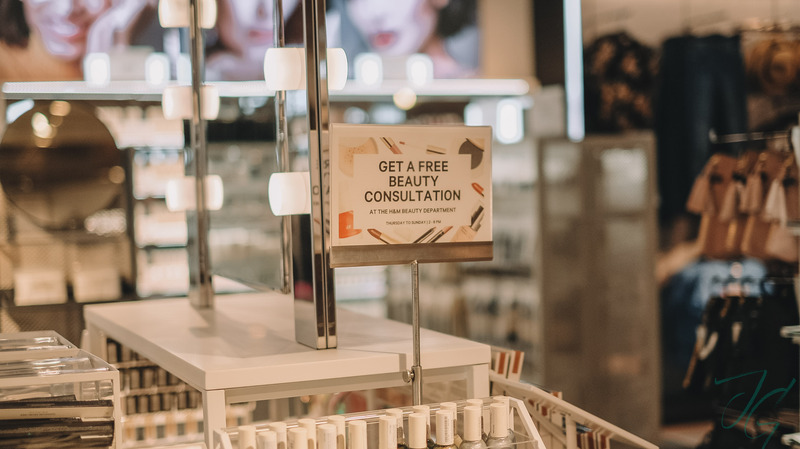 And if you’re too overwhelmed with the selection, did you know they have a beauty consultant from Thursday to Sunday 2-8 PM, ready to assist you? 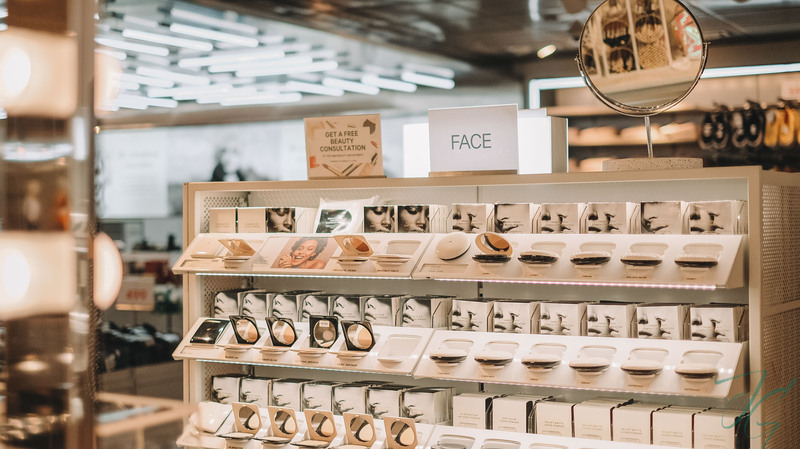 You can ask her about anything–from which shade of foundation to get, to their best selling lipstick, even get a demonstration on how apply products. After an hour or two of going around, I’ve narrowed it down to these products. Ladies, here’s my H&M Beauty loot. In need of a tan or just want that glow? 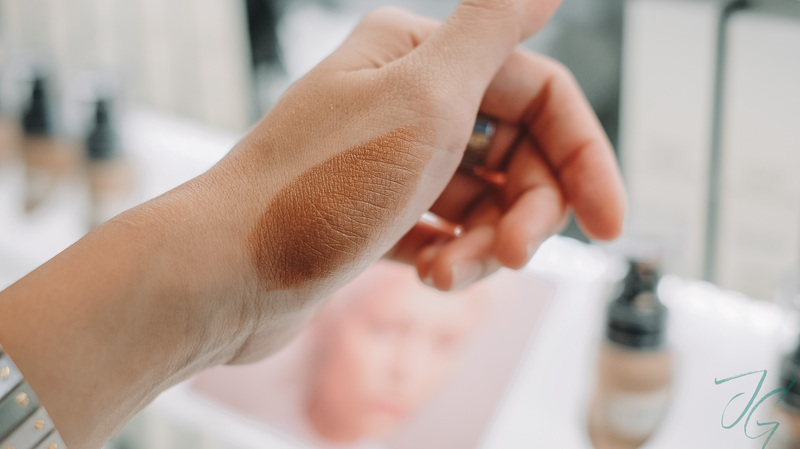 This liquid bronzer is for you! Look at how pigmented it is! If you’ve watched my Instagram stories during my store visit you’ve seen how pretty this duo is. 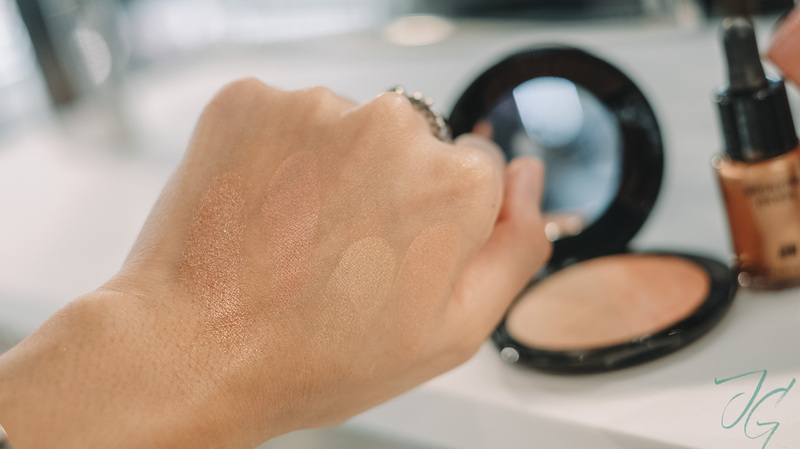 One swipe and it gives that sparkly blush and highlight you want to achieve that fresh look. The travel duo comes in two shades and I got the Golden Coral (the swatch on the right). I also got a Lip Definer, Php 349| Custom Concealer Trio in Medium to Dark, Php 599| Superfine Brow Liner in Dark Walnut Brown, Php 499. 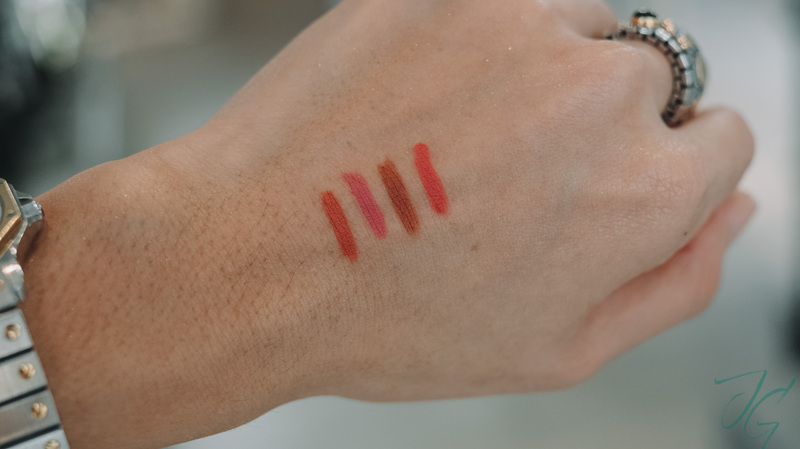 Swatched some H&M Matte Lip Colours. These are the shades that I like most. 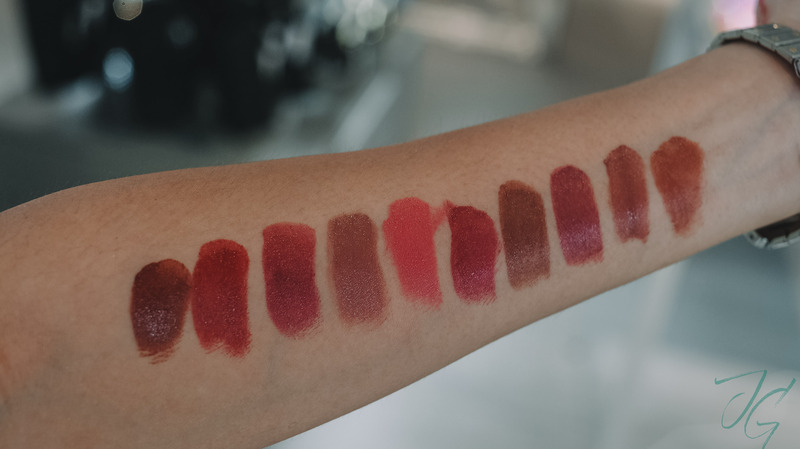 These are some of my top H&M Cream Lip Colour picks. A tube retails for Php 599 each. 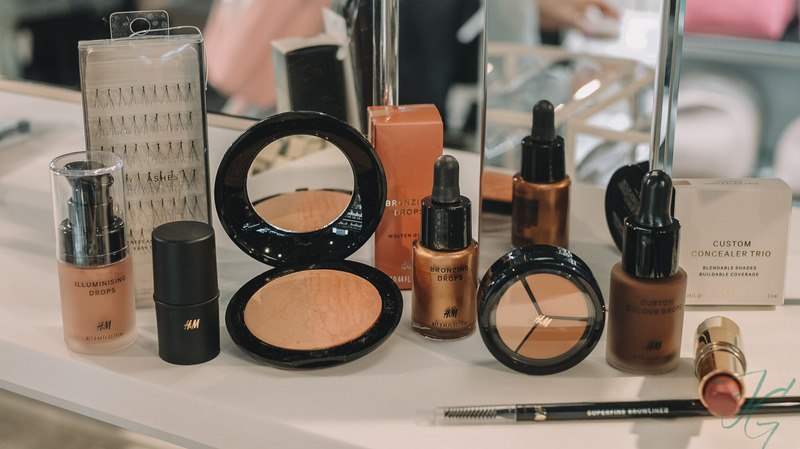 According to the beauty consultant, some of my picks are their best seller. YAS! They also have lip liner for Php 349 each. Love how creamy and pigmented H&M Lip Definers are. 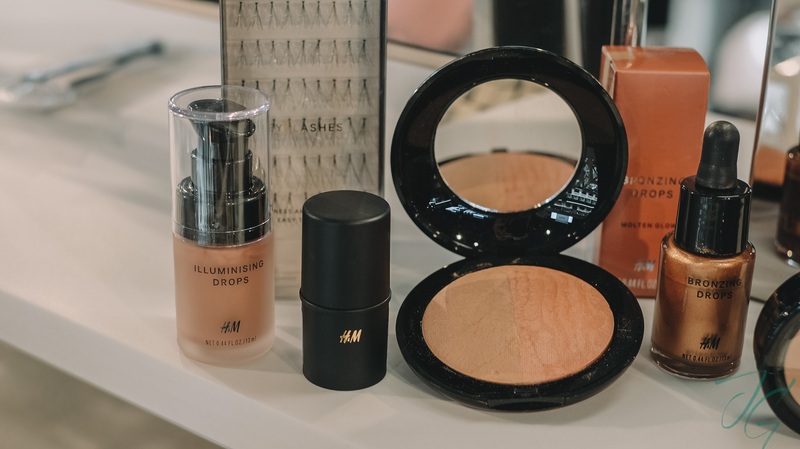 H&M Beauty is available at select H&M stores nationwide.